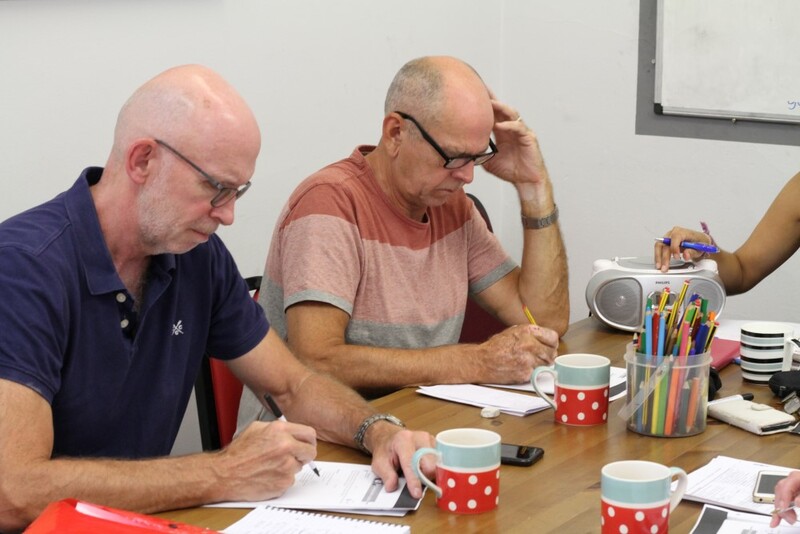 Many of our business clients are learning languages in group classes, either at their offices with colleagues or at our language school in Manchester. In a class situation the teacher is able to use role play, and 2 or 3 person language exercises to give as much opportunity as possible for each student to practise. We also offer individual tuition in Business French, Italian, Chinese, Spanish, and many other languages. This is particularly appropriate where the business learner has specific requirements in terms of industry-specific vocabulary, or has advanced beyond the beginner stage. Please email or call us with details of your requirements, and we will advise if a group class or individual tuition would be most effective for you. Many of our clients enjoy the dynamic of working in a group and these courses are designed to meet the language needs. The content of the course is reviewed and evaluated on a continual basis and you’ll have the opportunity to immediately interact with others and practise your language skills. We’ve worked successfully with a number of different high-profile companies and developed an excellent reputation for providing what our clients want in a way that is enjoyable and engaging. The classes can take place at our Cheadle head office or at your premises at a time that is most beneficial for your business – this is flexible and can change from week to week. Many of our groups have also complemented their language learning with other activities, such as cultural awareness training and international dance lessons.